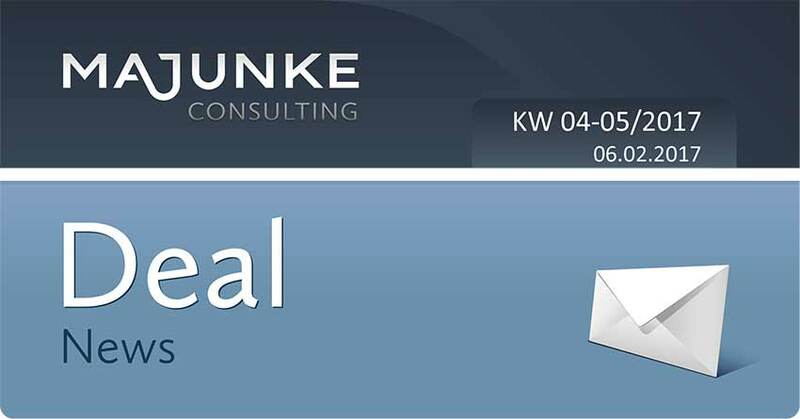 It does not always have to be the classic bank loan - in the meantime, SMEs have many interesting financing alternatives at their disposal, such as factoring or crowdinvesting. 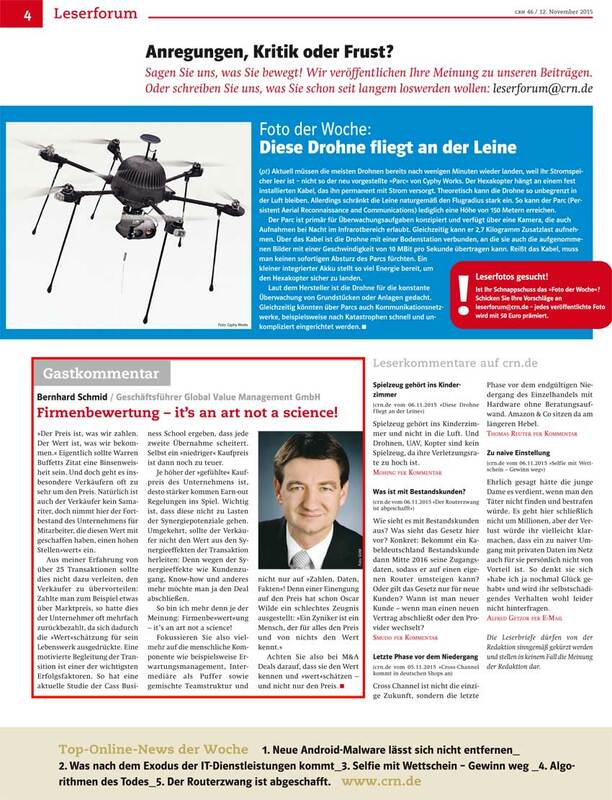 GVM-CEO Dr. Bernhard Schmid moderates the podium discussion "How will the Robotics Market develop in the next years?". 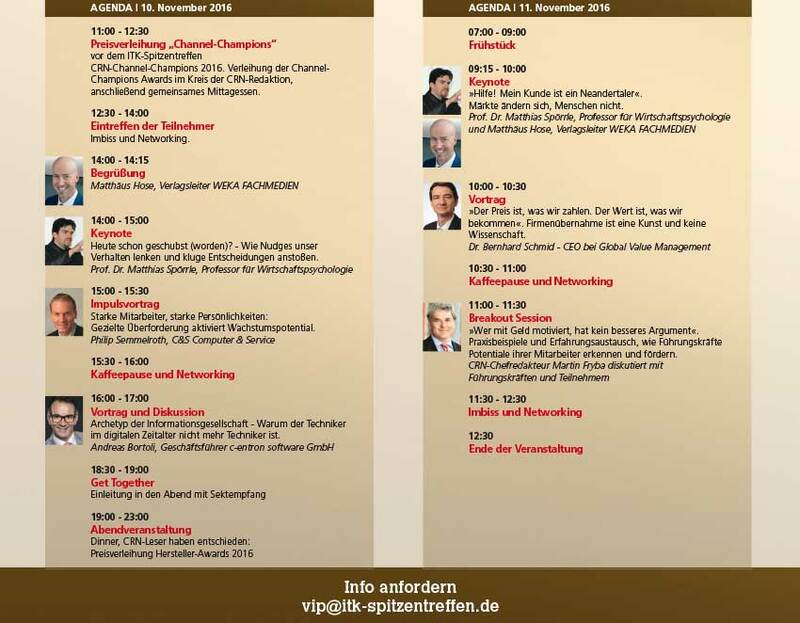 GVM CEO Dr. Bernhard Schmid moderates the forum „Reduce Failure Rates – Optimise Product Quality“. 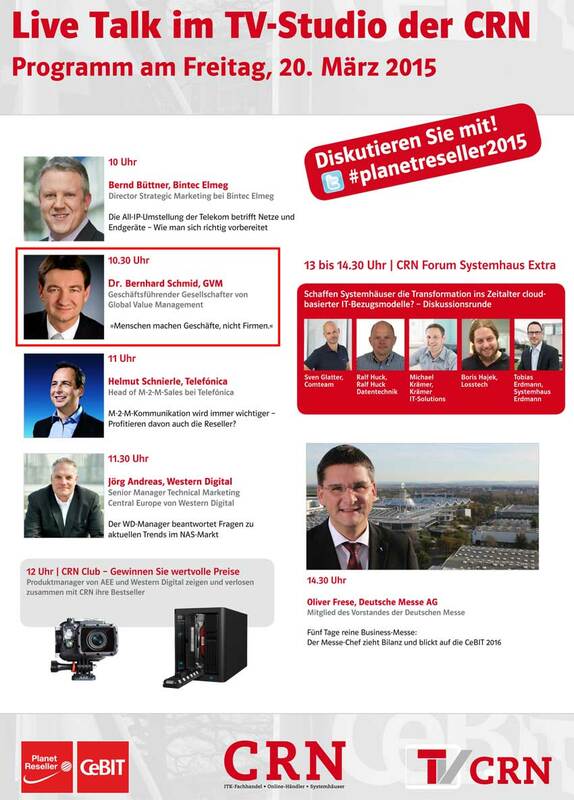 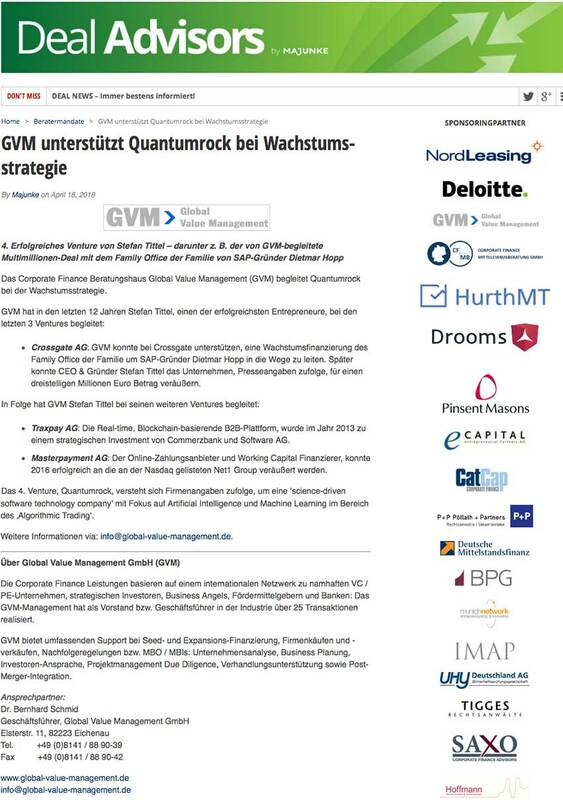 GVM General Manager Bernhard Schmid moderates the trend forum "Focus Governance & Agility". 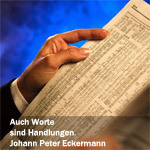 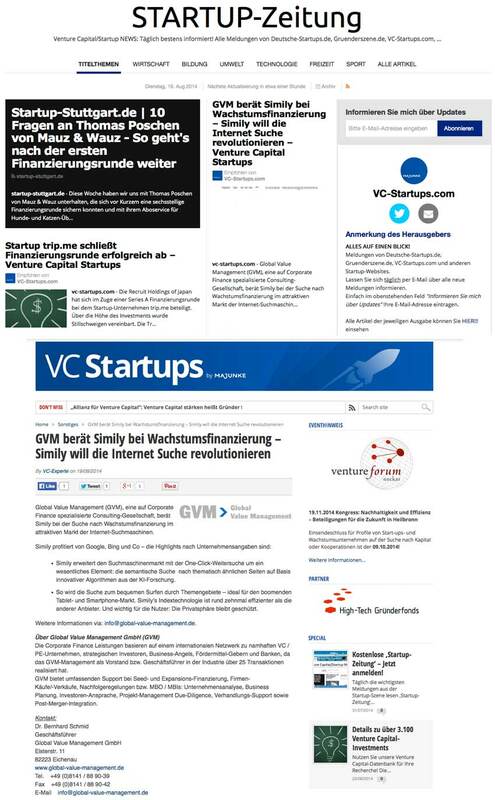 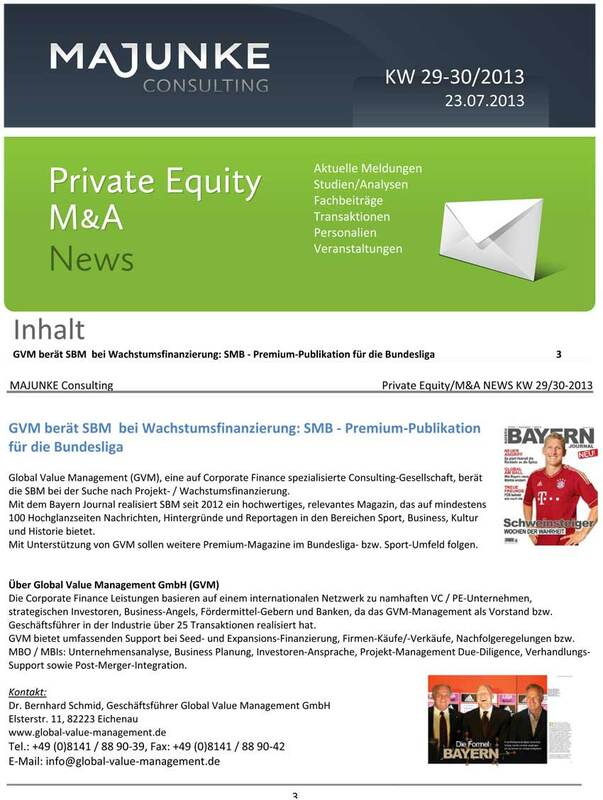 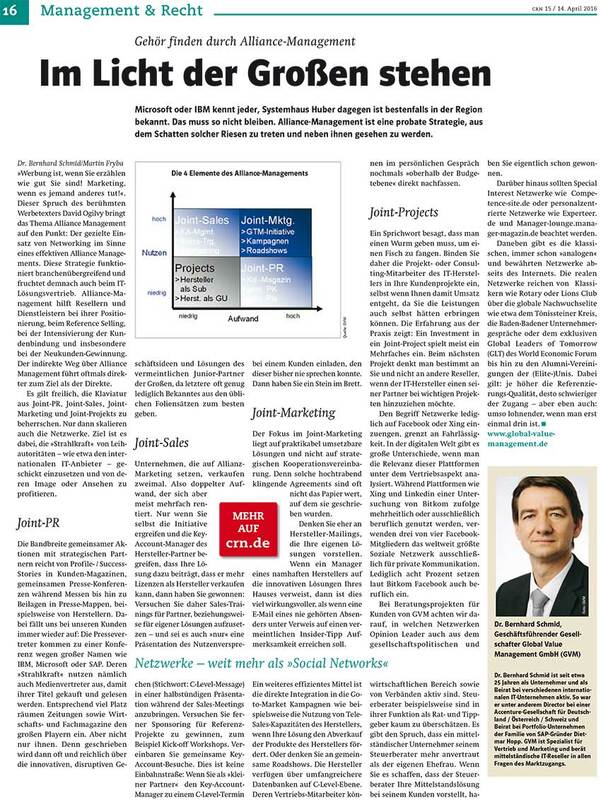 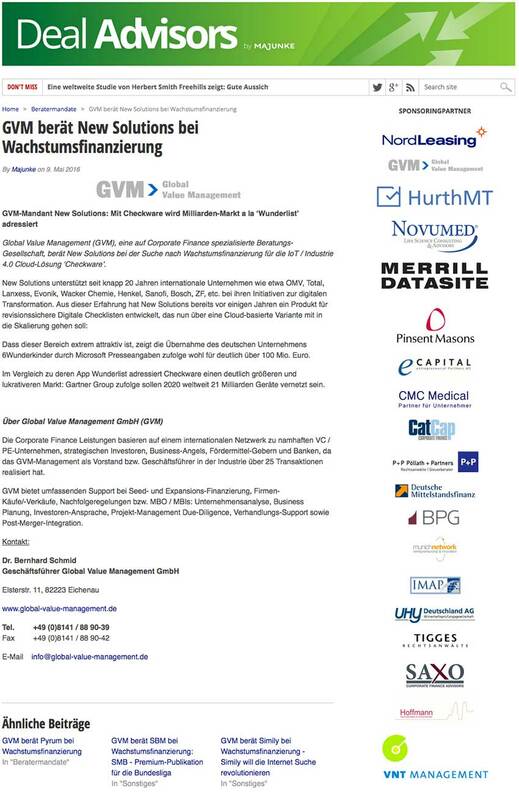 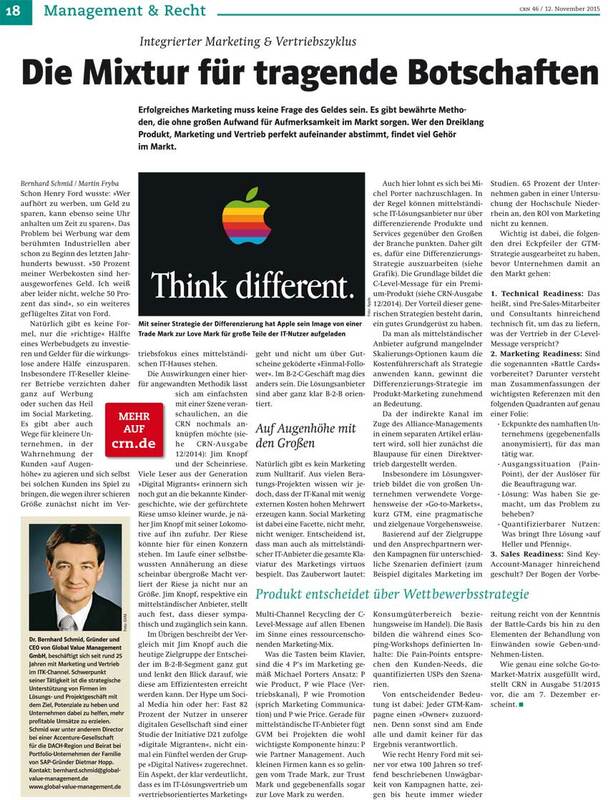 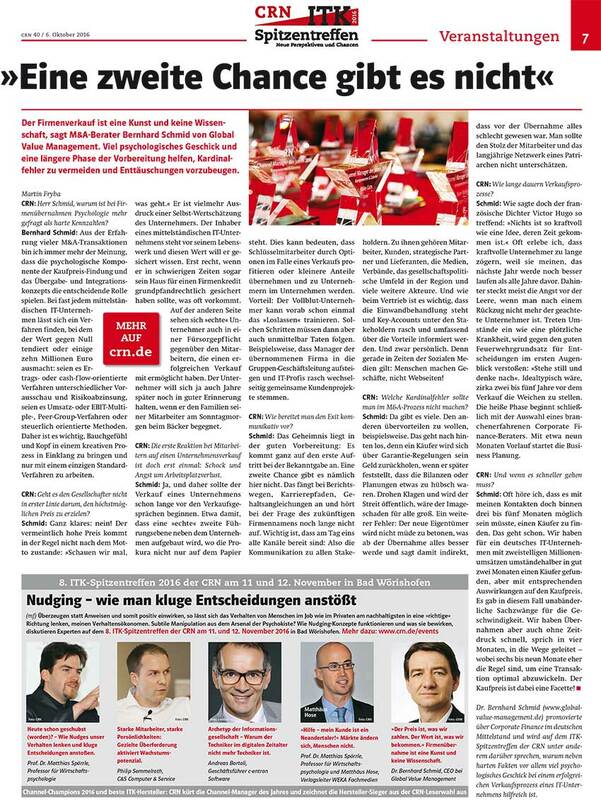 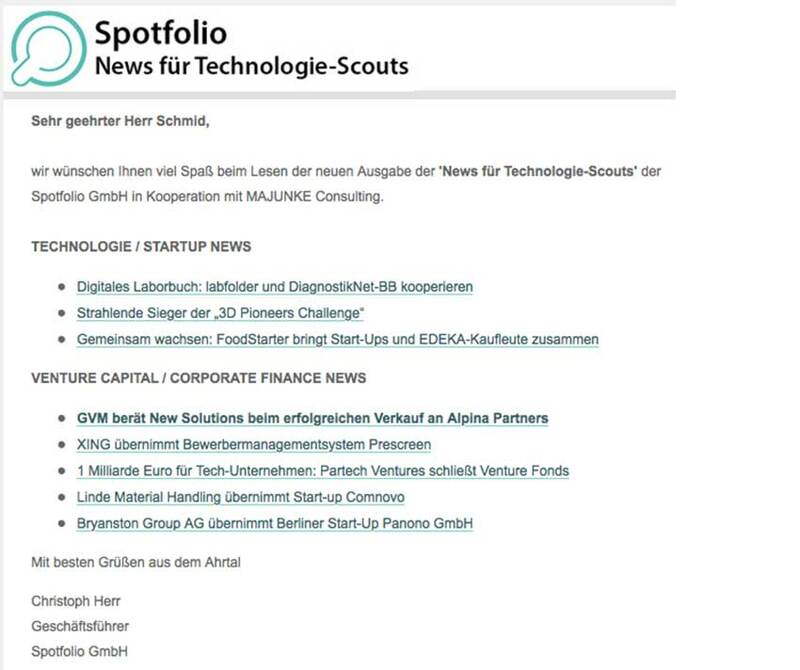 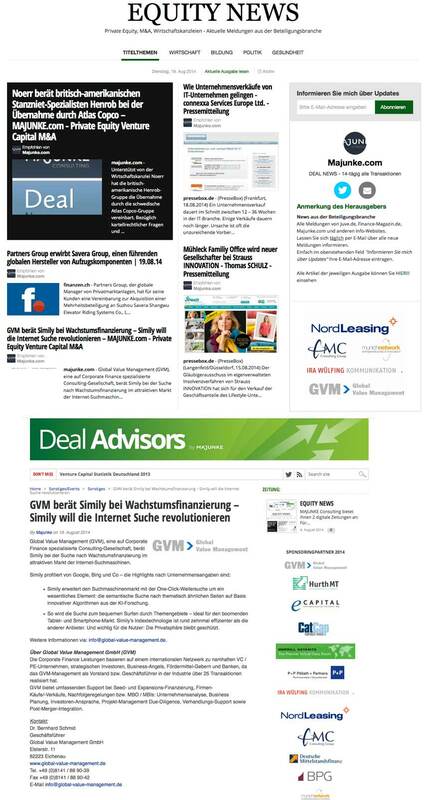 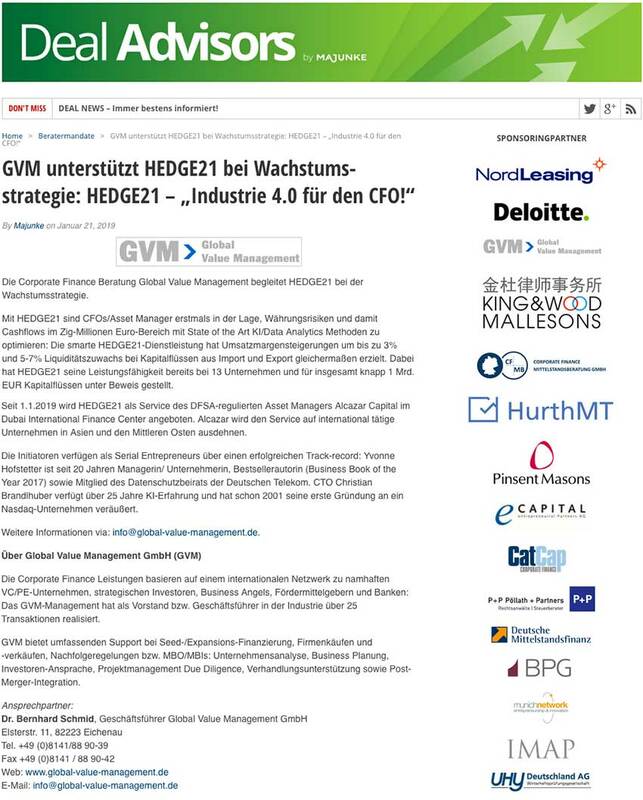 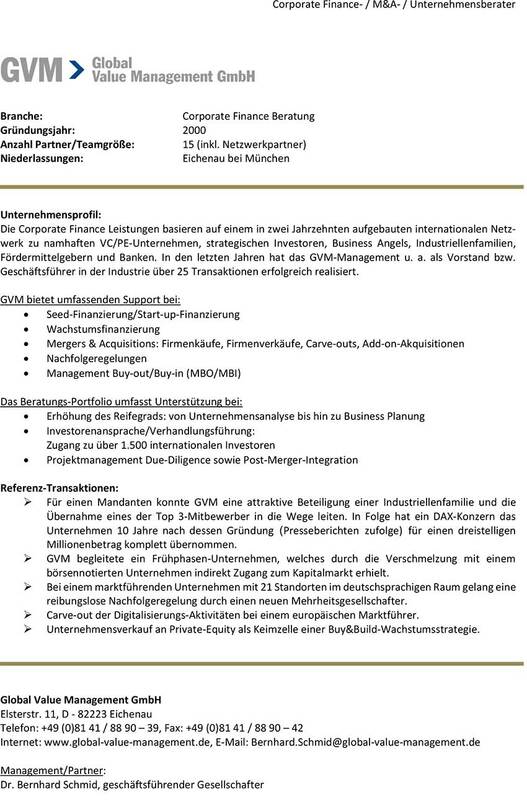 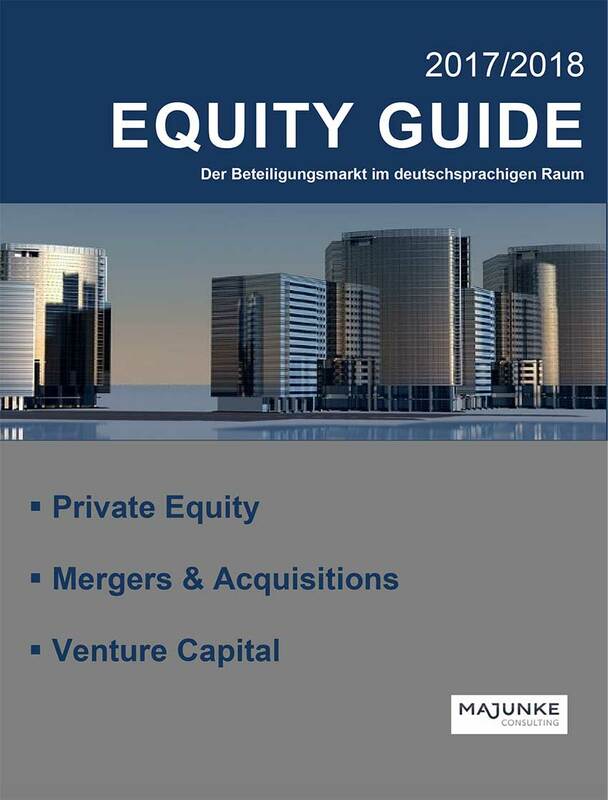 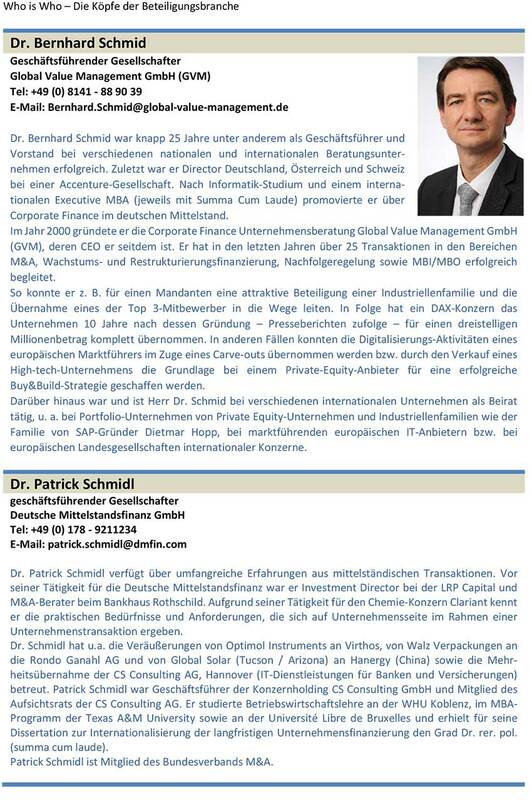 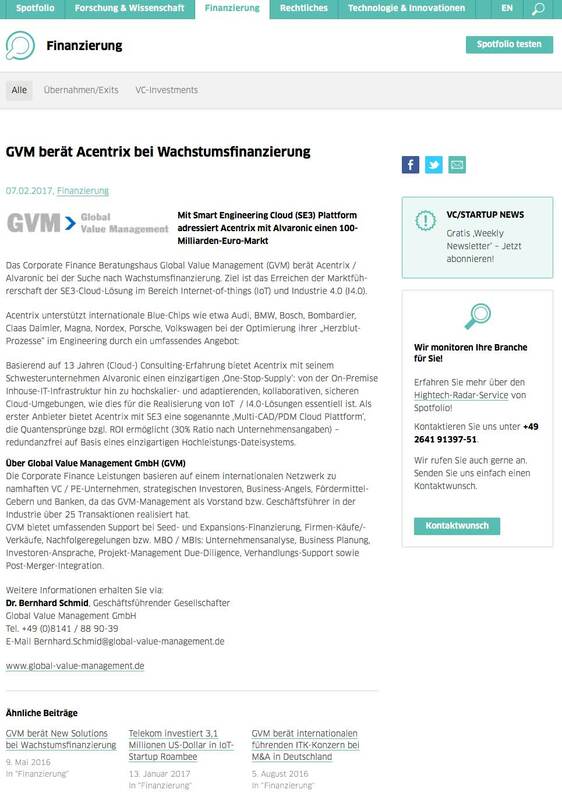 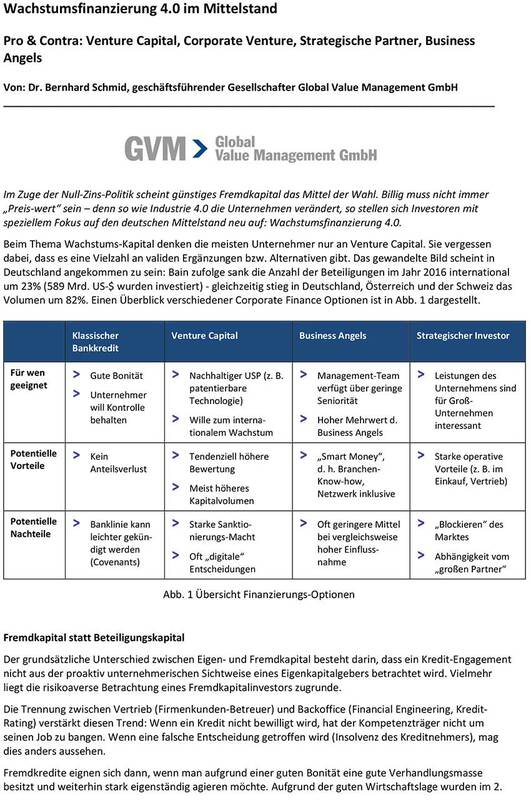 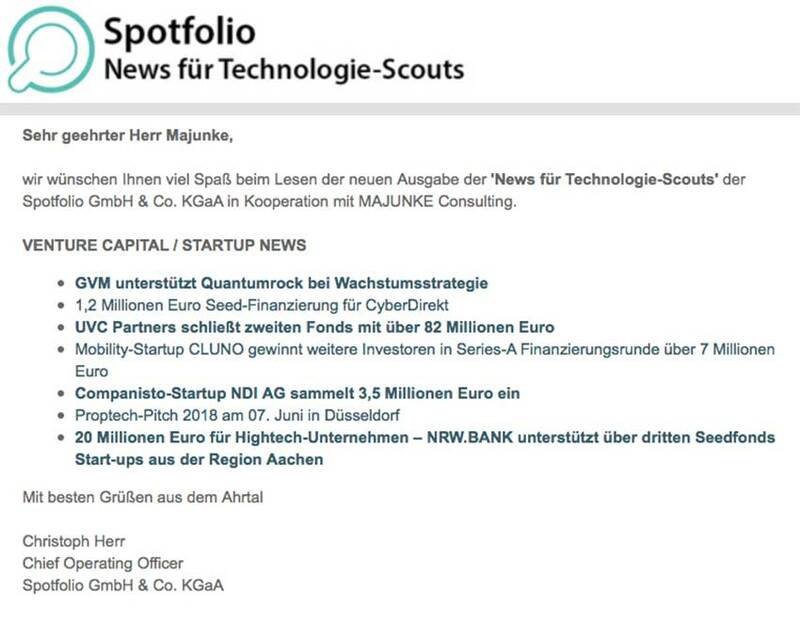 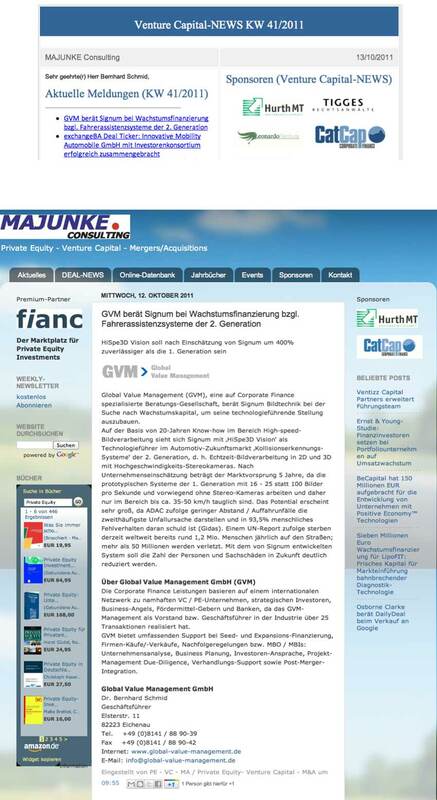 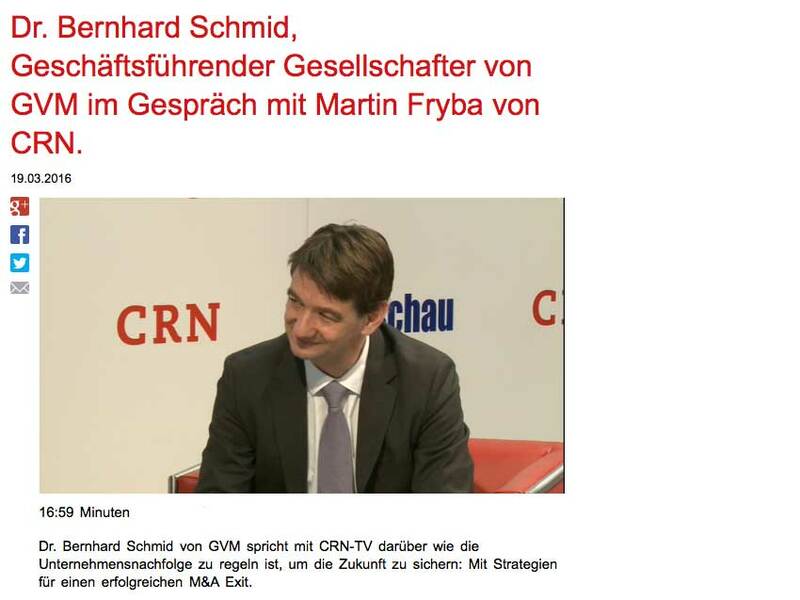 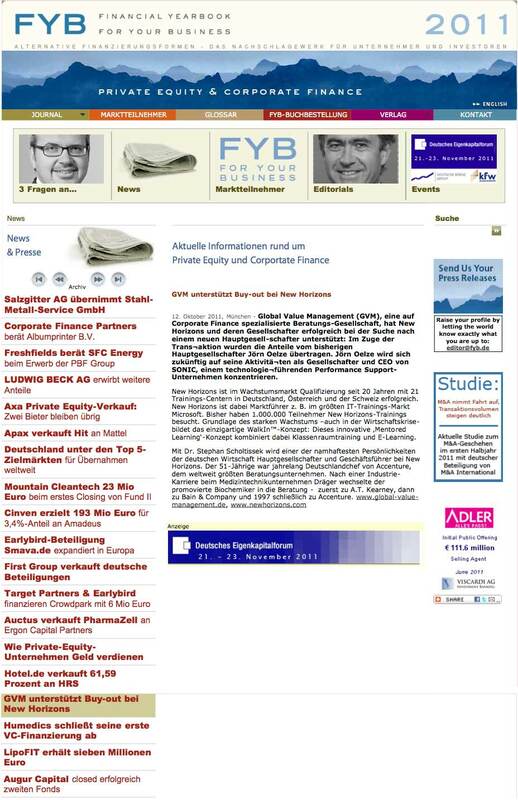 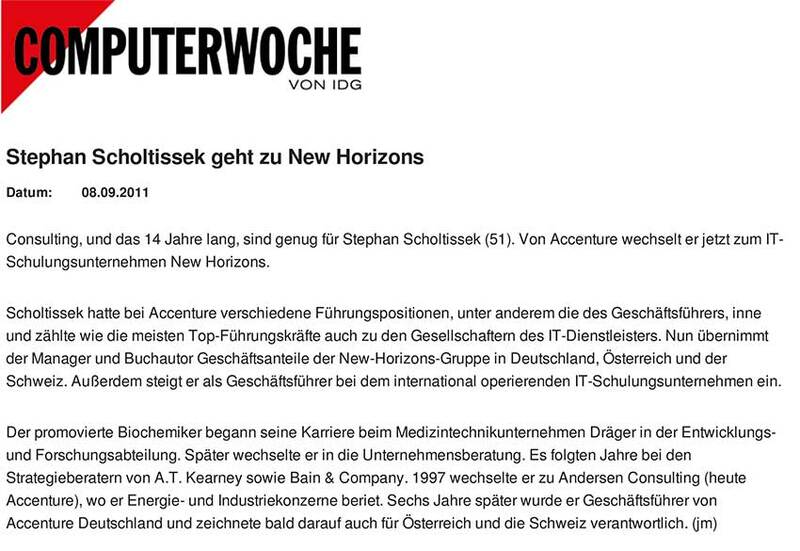 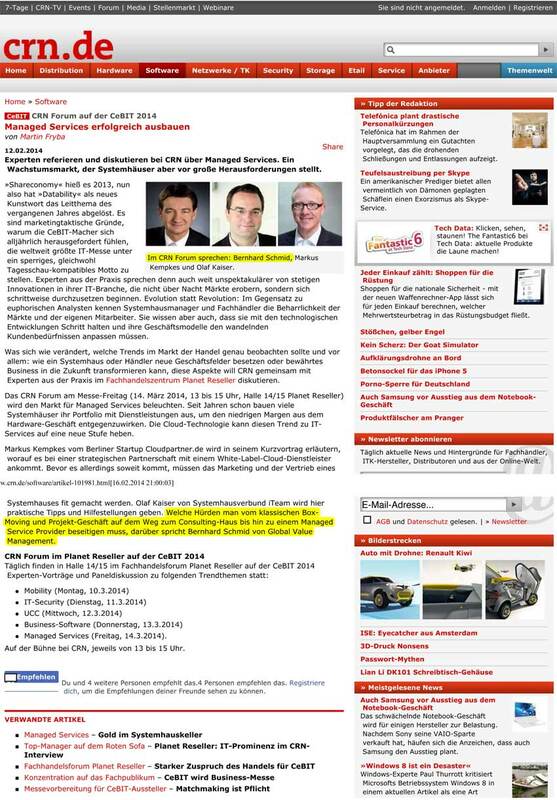 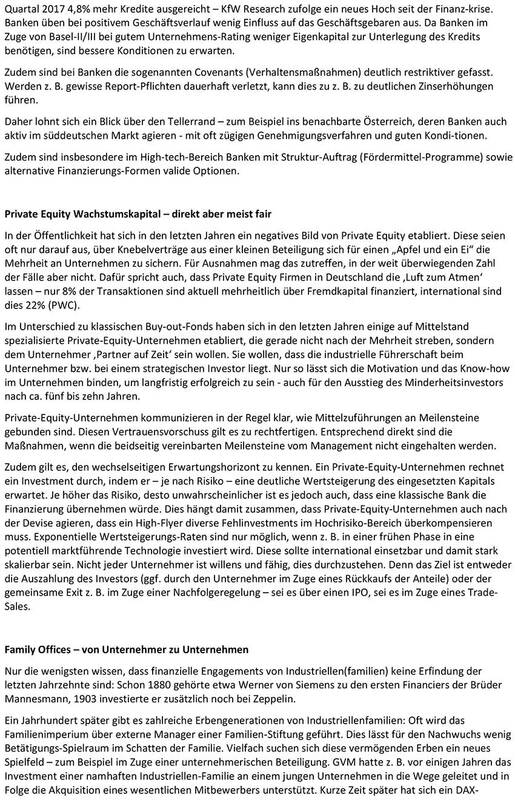 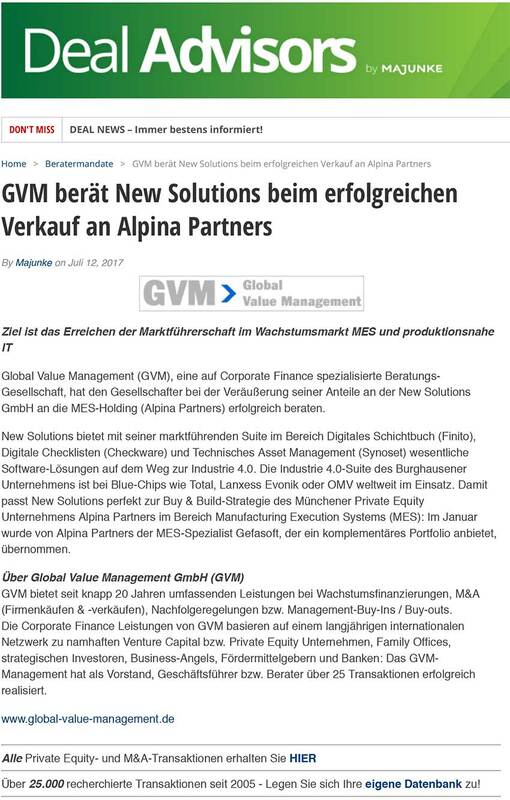 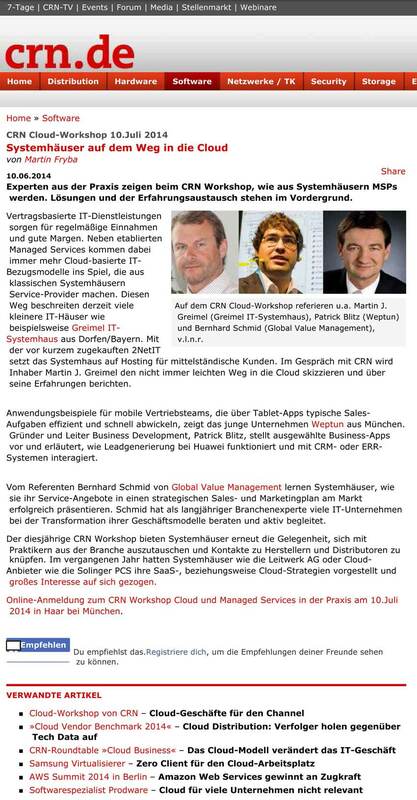 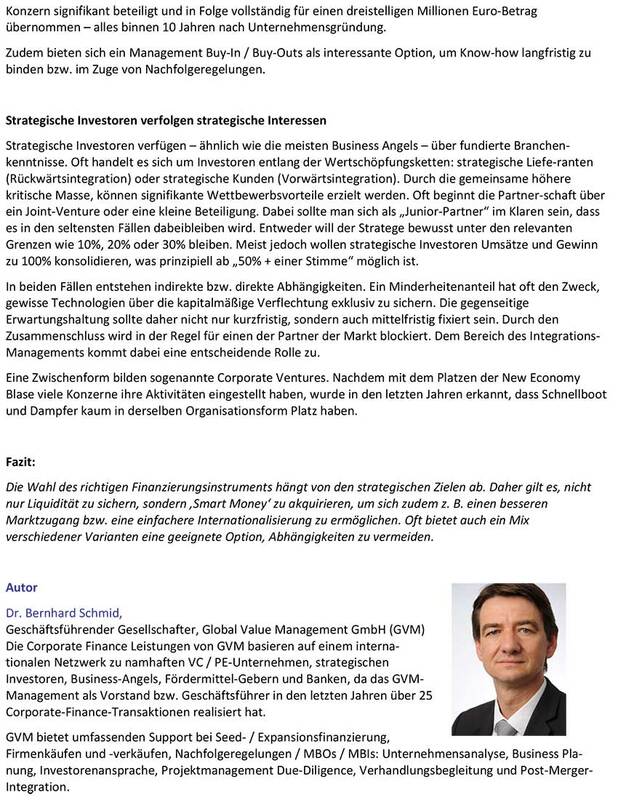 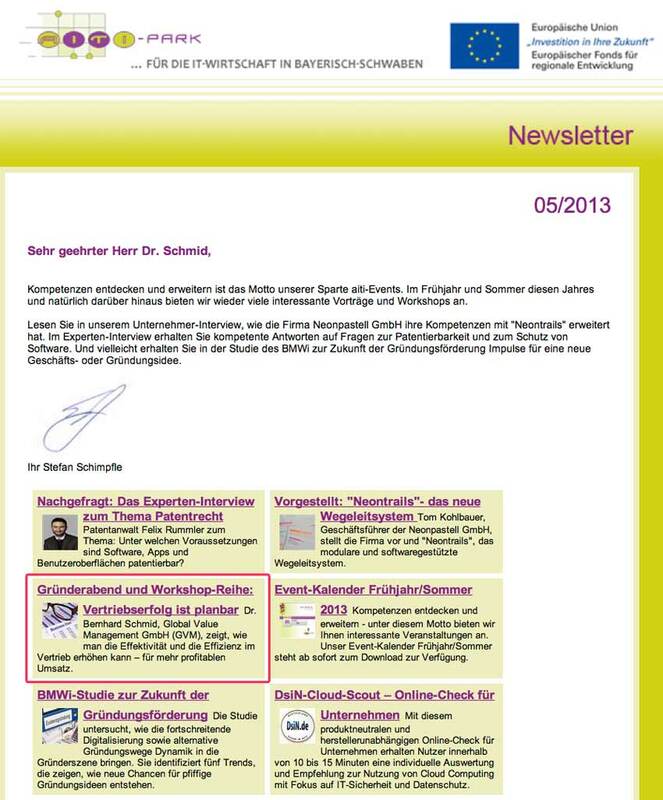 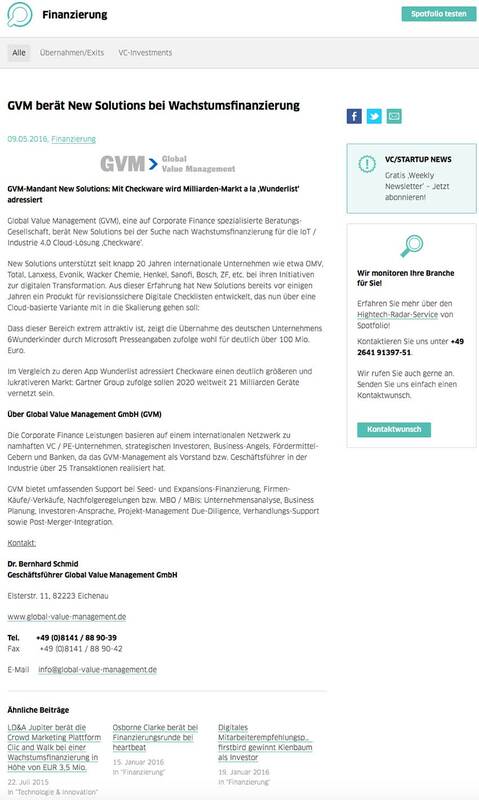 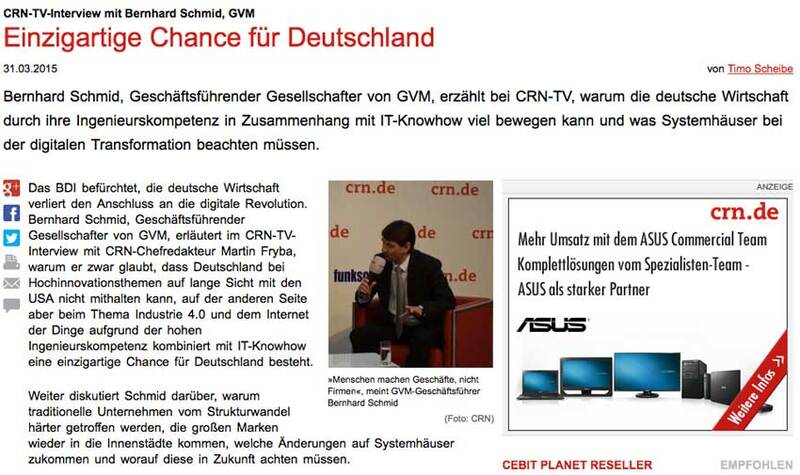 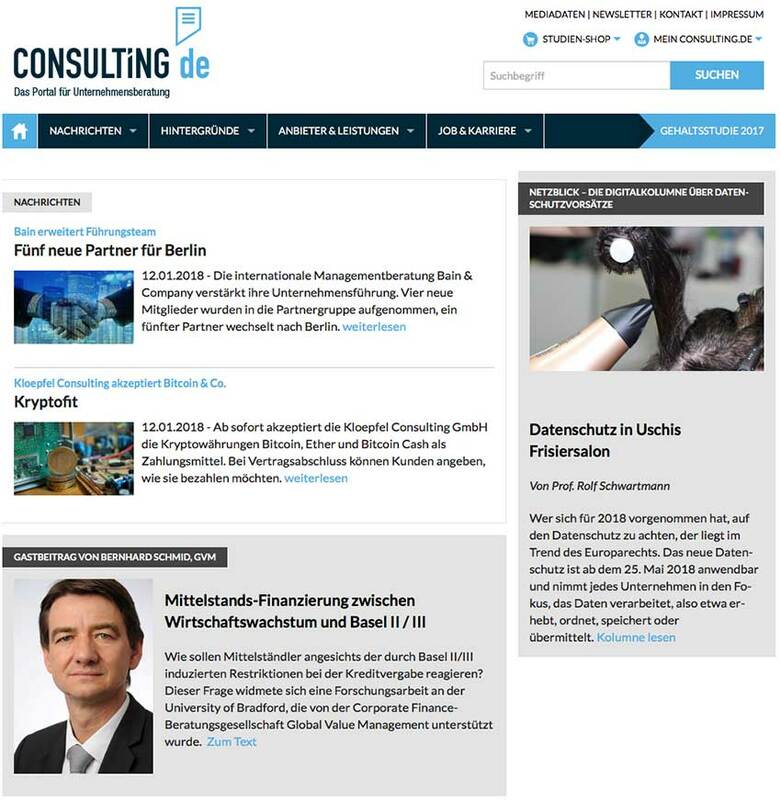 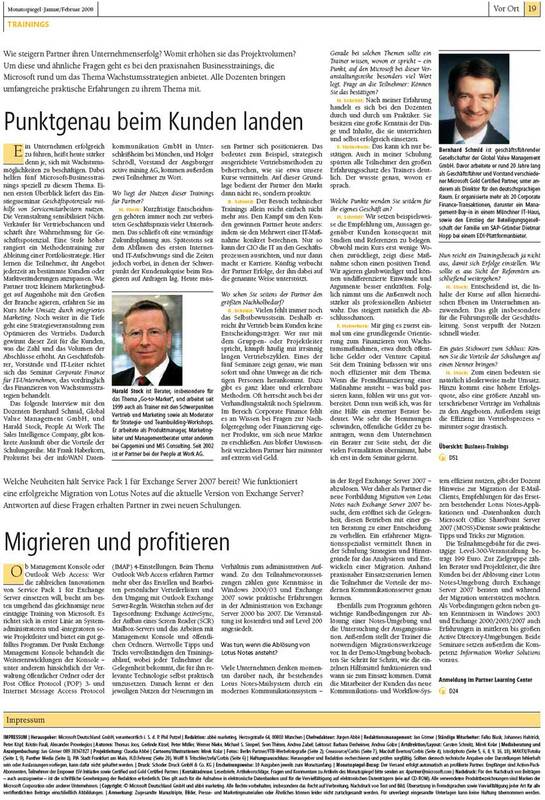 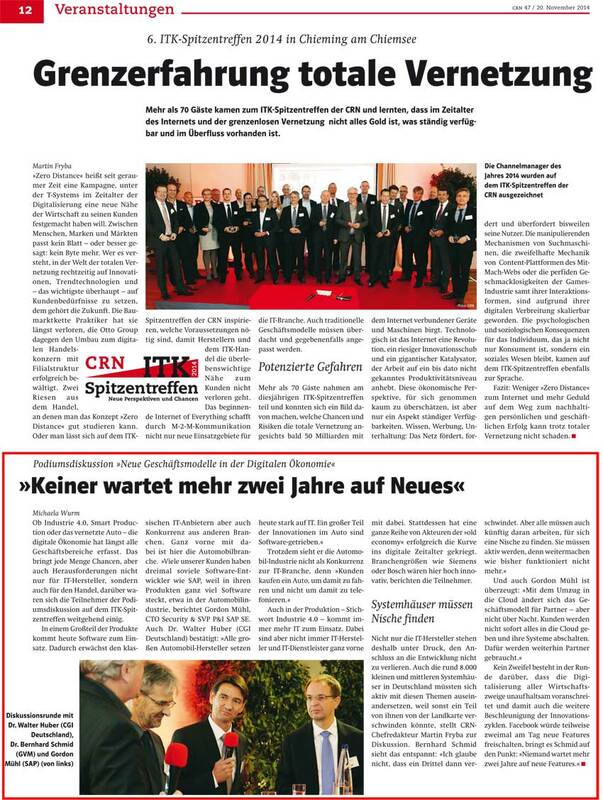 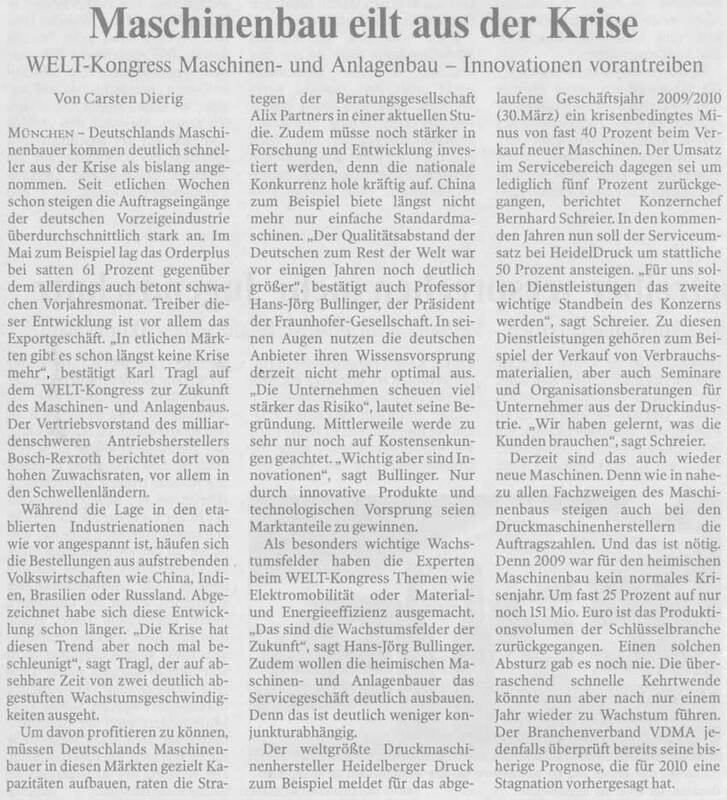 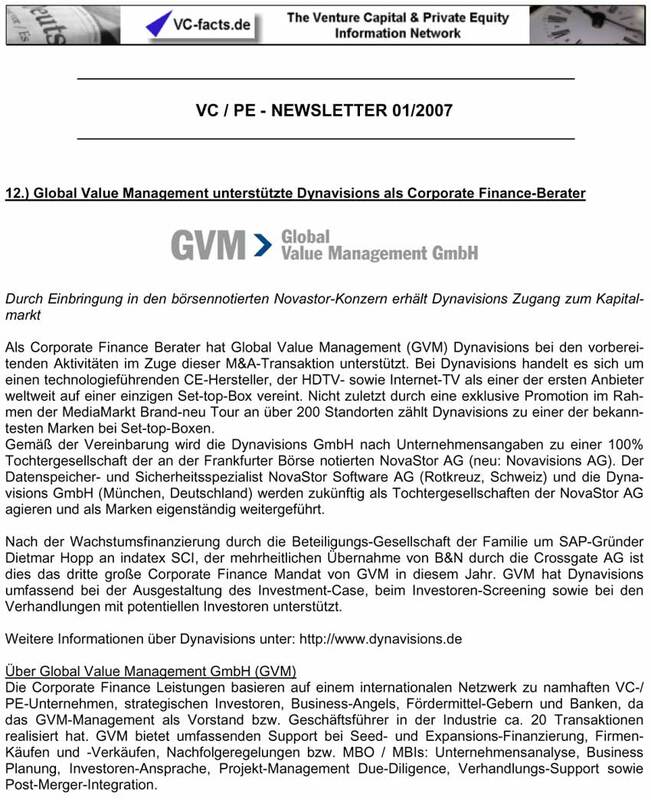 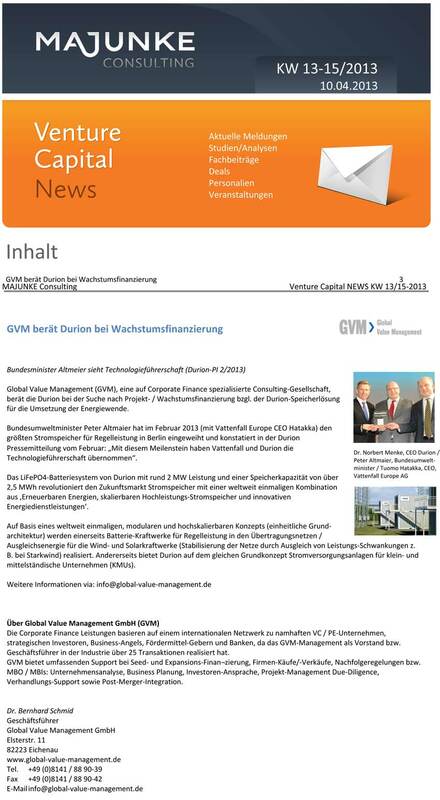 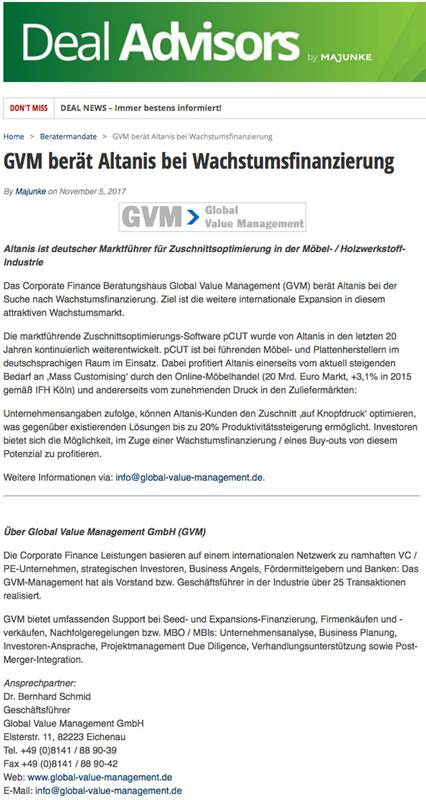 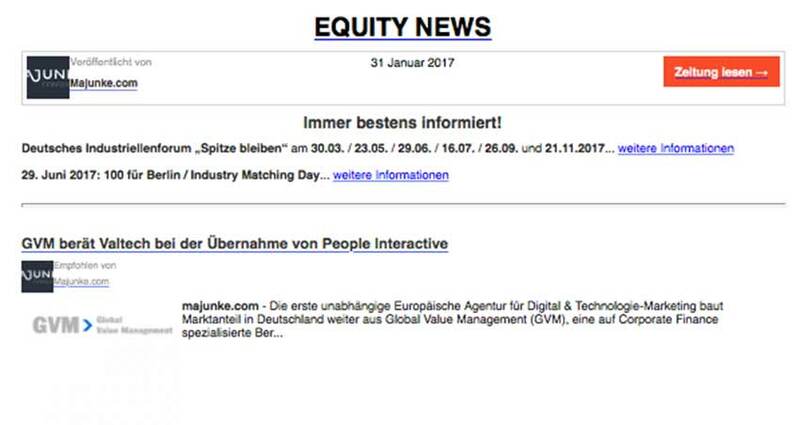 Please find the interview with GVM CEO Dr. Bernhard Schmid here. 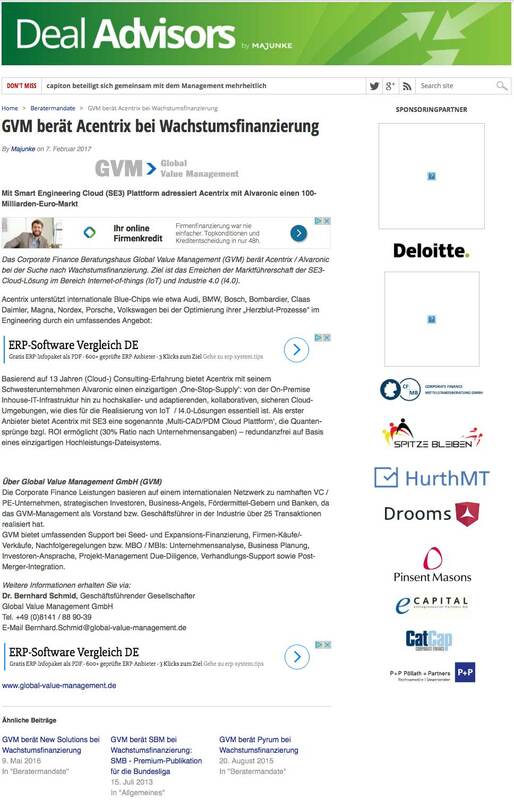 Key-note speakers are amongst others executives of blue chips companies like Blue-Chip companies like Deutsche Telekom, Lufthansa, Robert Bosch or SAP. 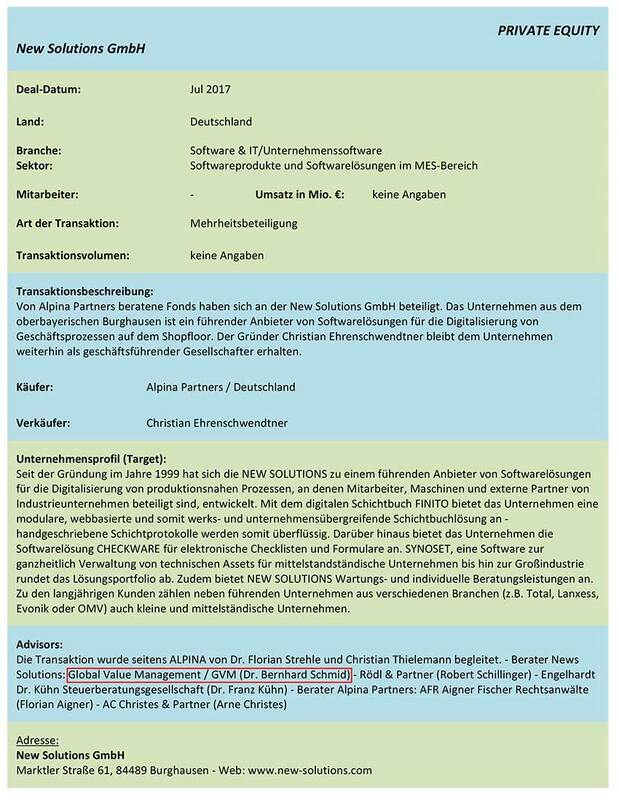 Dr. Bernhard Schmid moderates the forum which looks after digital solution along the supply chain and practical solutions to augmented reality. 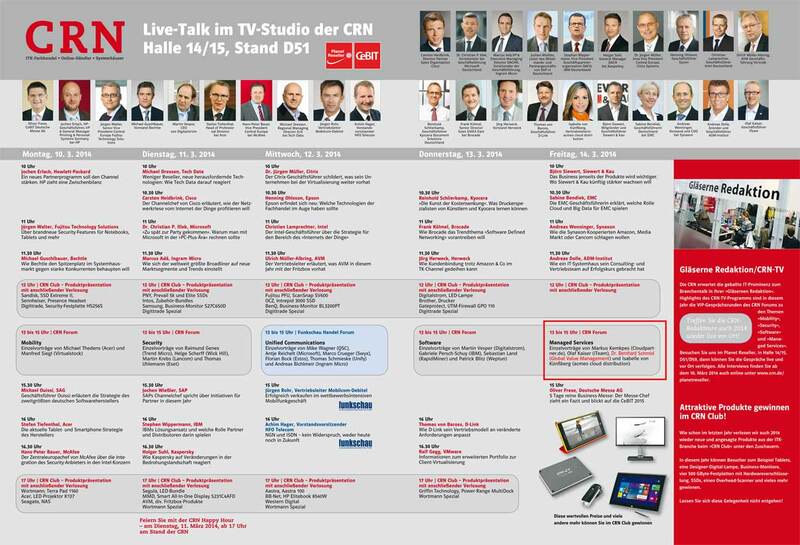 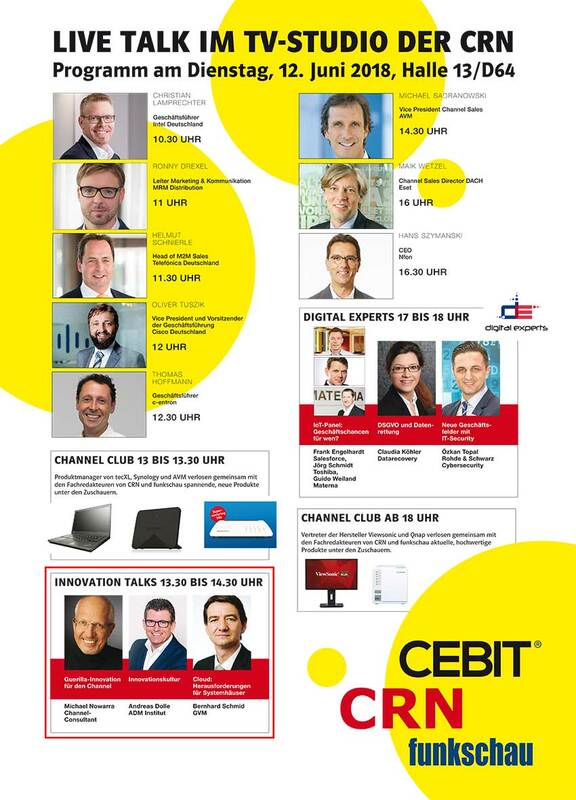 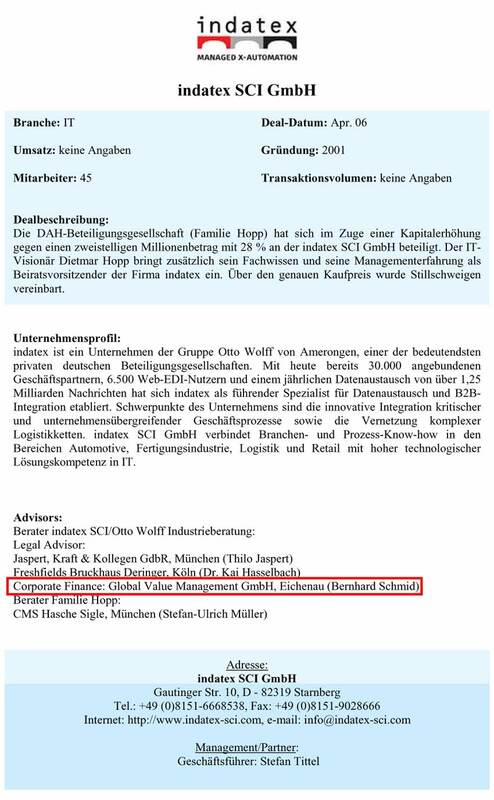 Key-note speakers are amongst others executives of blue chips companies like Blue-Chip-Unternehmen like Deutz, DHL, Festo, Kaiser’s Tengelmann, Miele, Otto or Salzgitter. 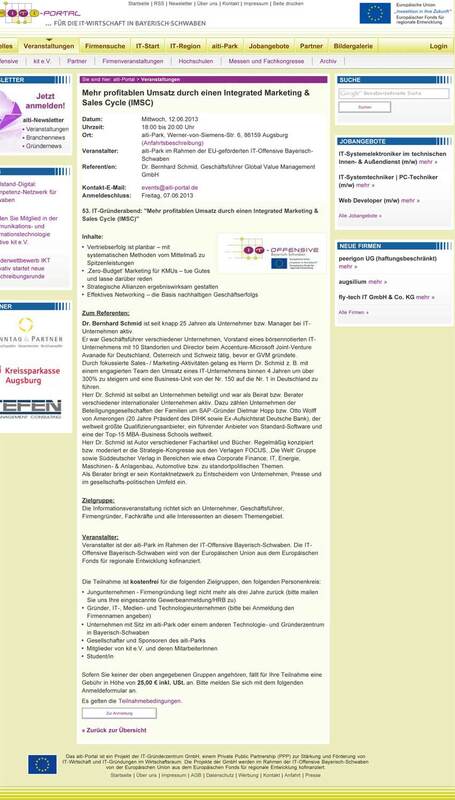 Please find the program hier. 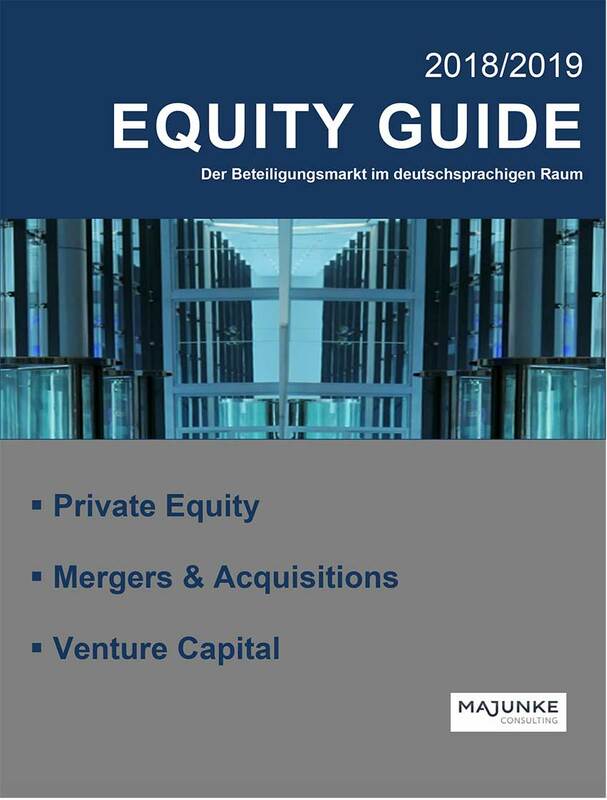 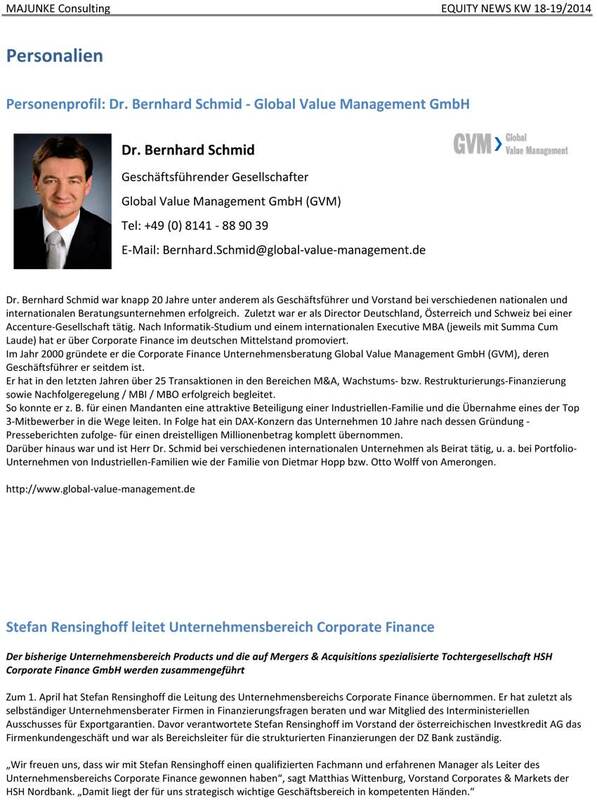 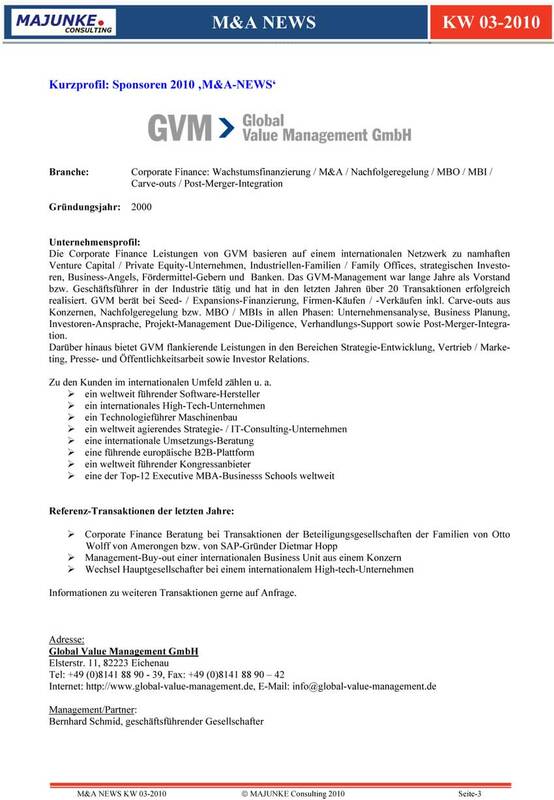 Guest Article Dr. Bernhard Schmid, GVM: Company Valuation – it’s an art, not a science! 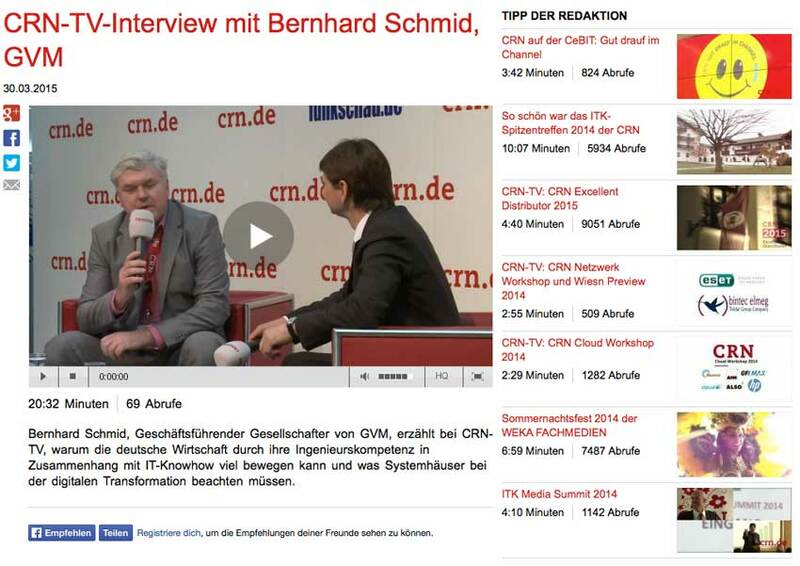 You can find the 20 minutes TV-Interview here. 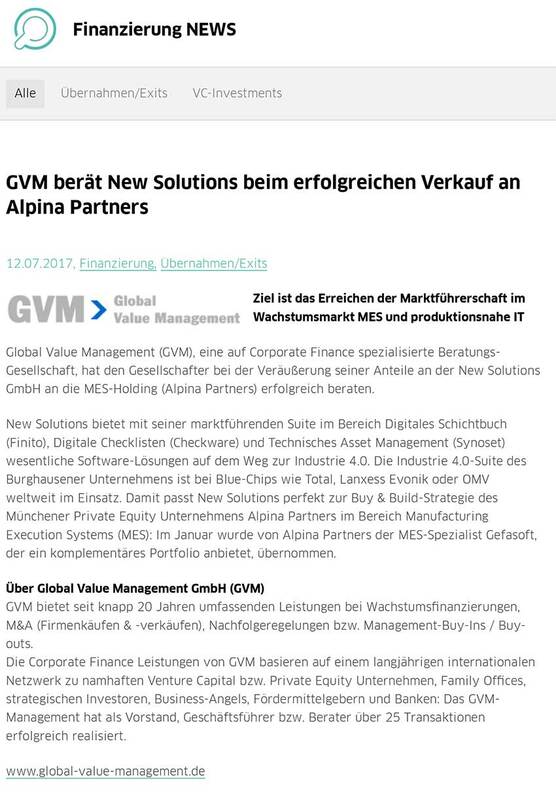 GVM supported at the acquisition of the key-speakers. 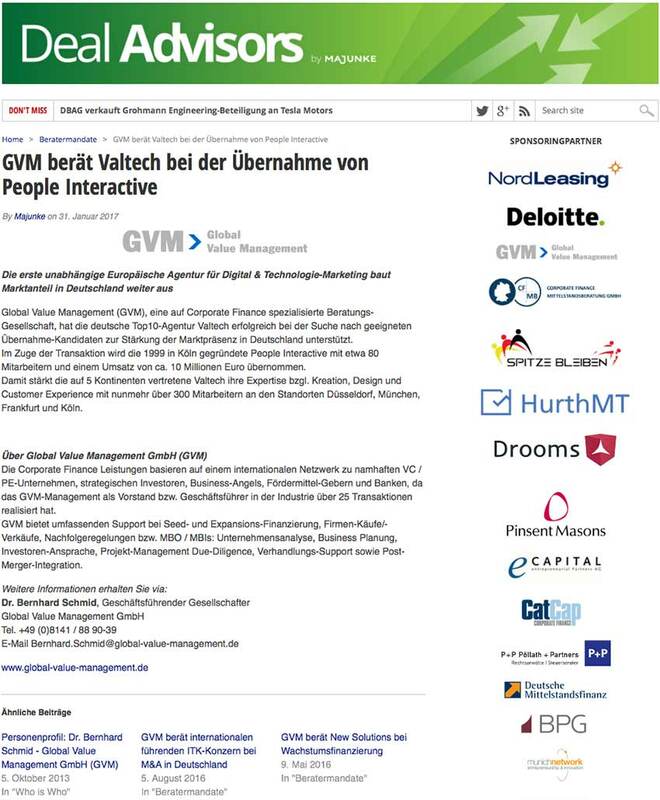 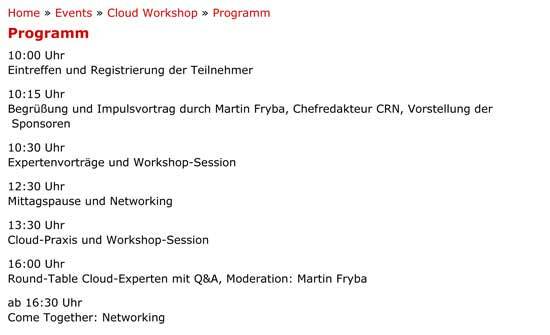 GVM supported at the selection of the key-note speakers – amongst them the CIOs of Audi, Daimer TSS, Knorr Bremse or ThyssenKrupp Steel etc. 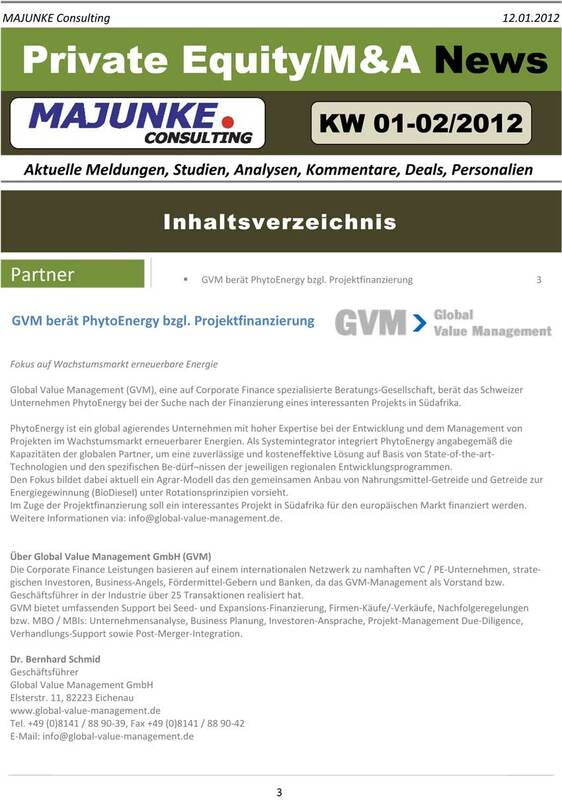 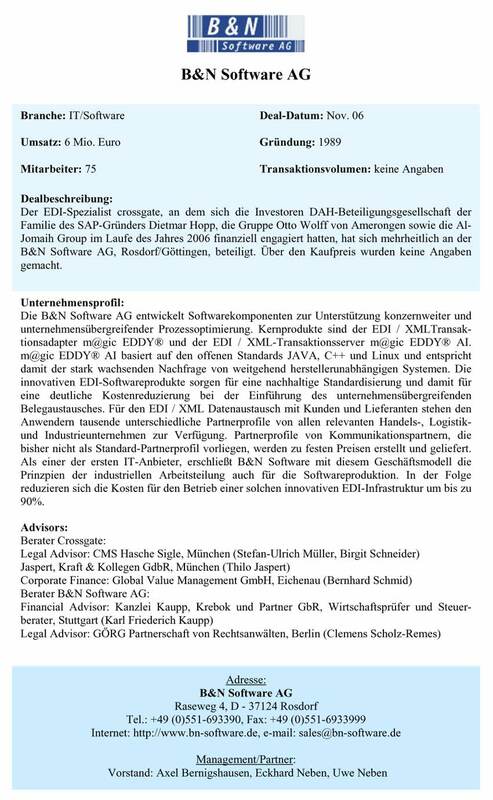 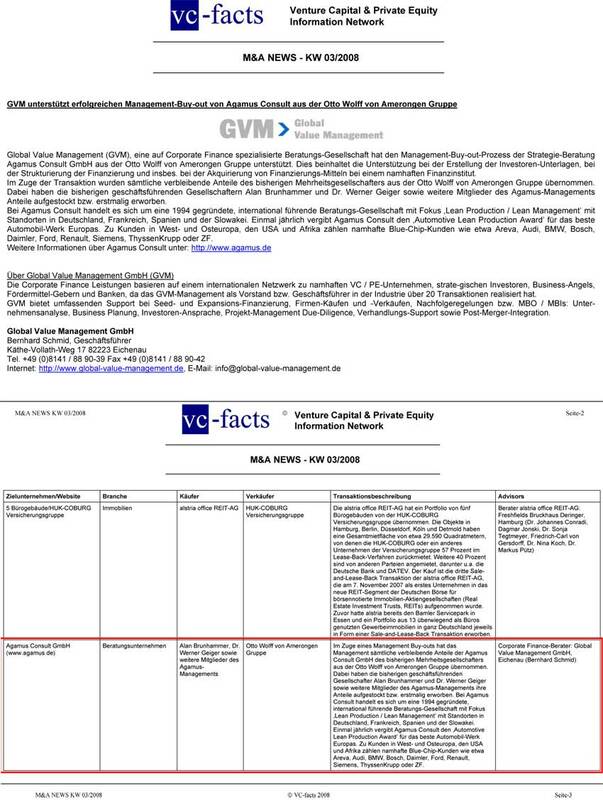 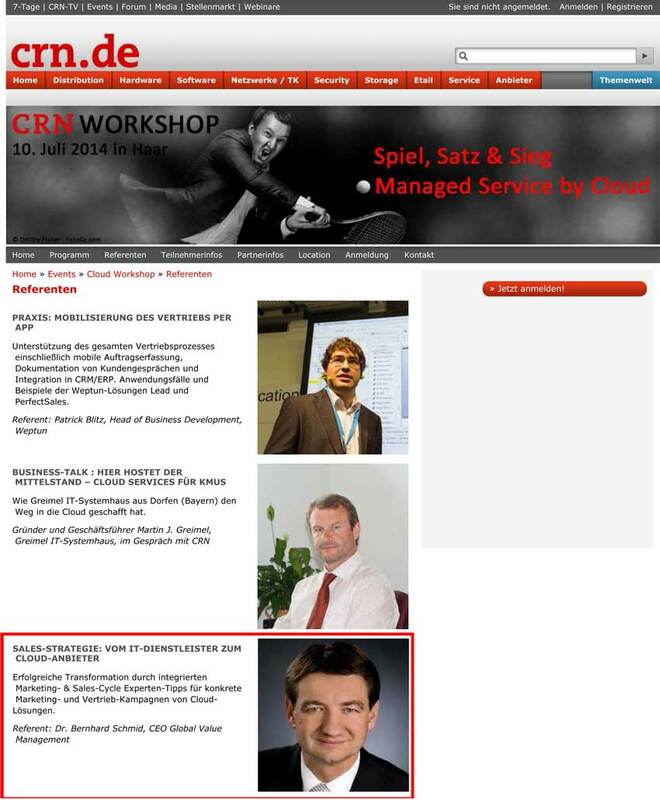 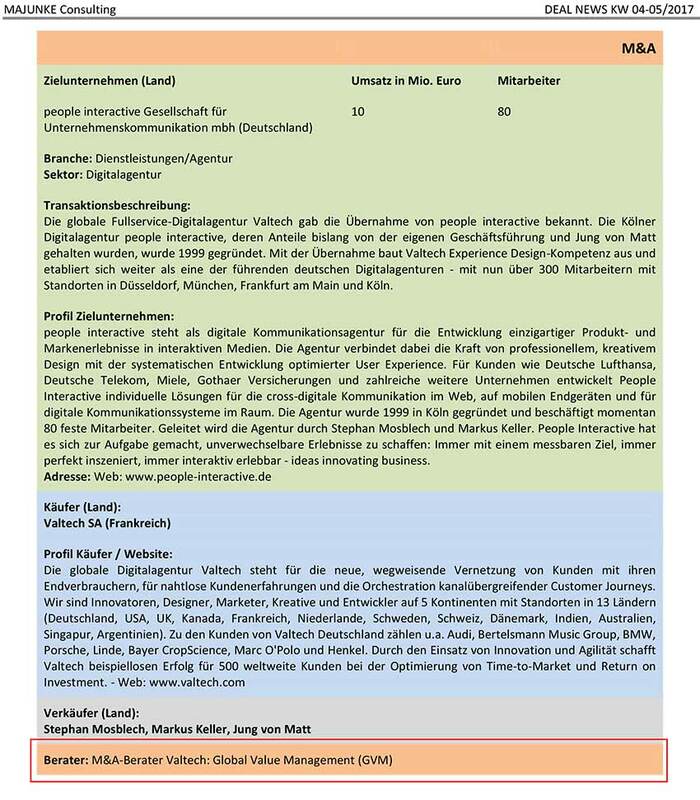 GVM supported at the selection of Board Members as key-speakers. 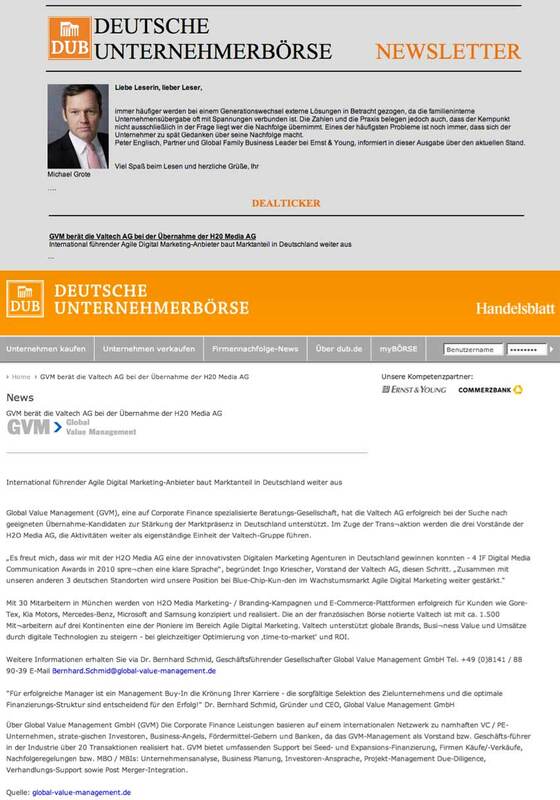 Amongst others the Board Members of Deutsche Bank, DZ Bank or Postbank will present their views. 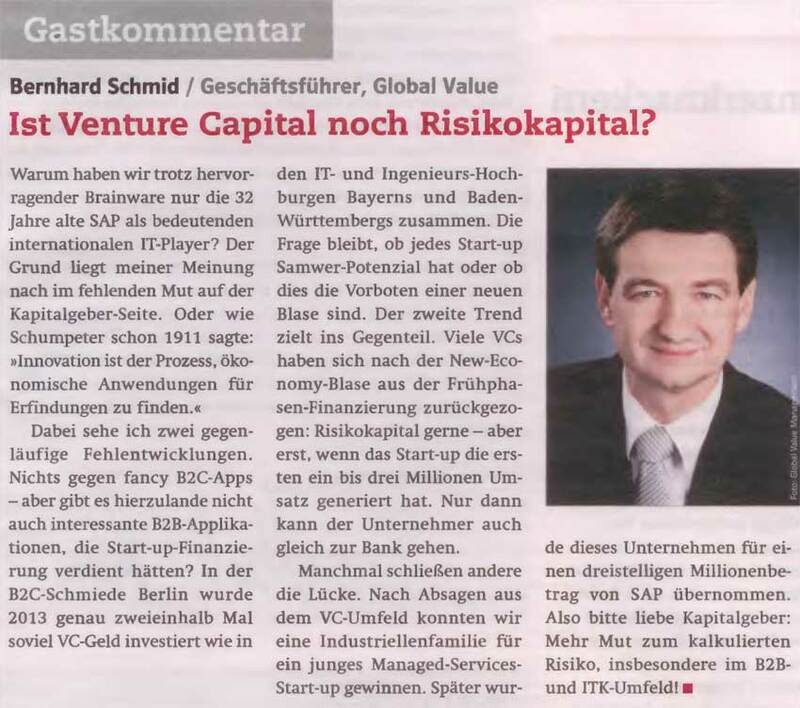 Guest Comment: Is Venture Capital still Risk Capital? 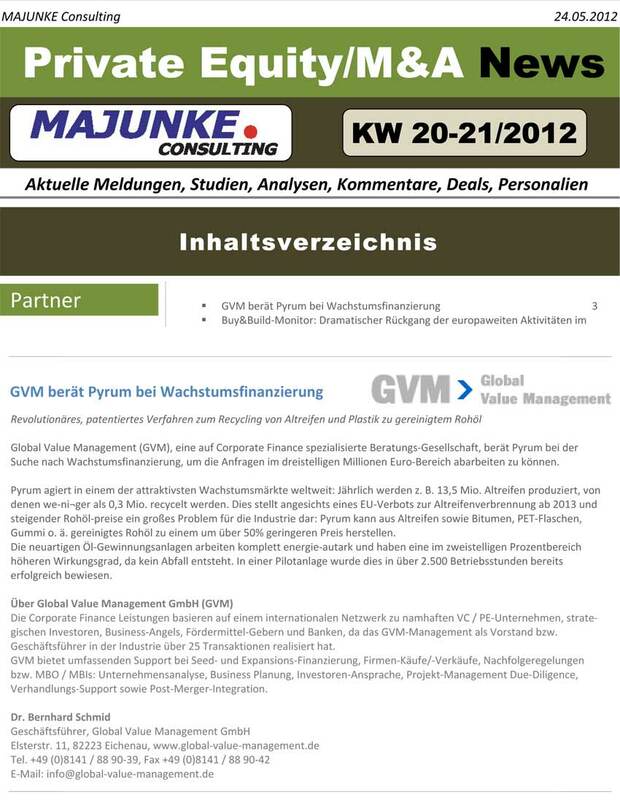 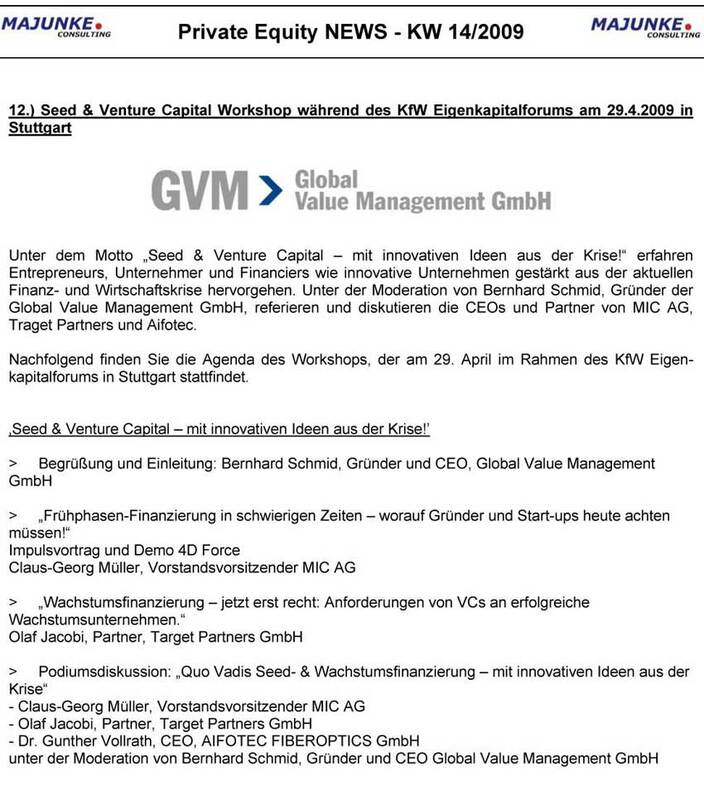 Please find GVM Investor Readiness Workshop for GATE 2012-11 here. 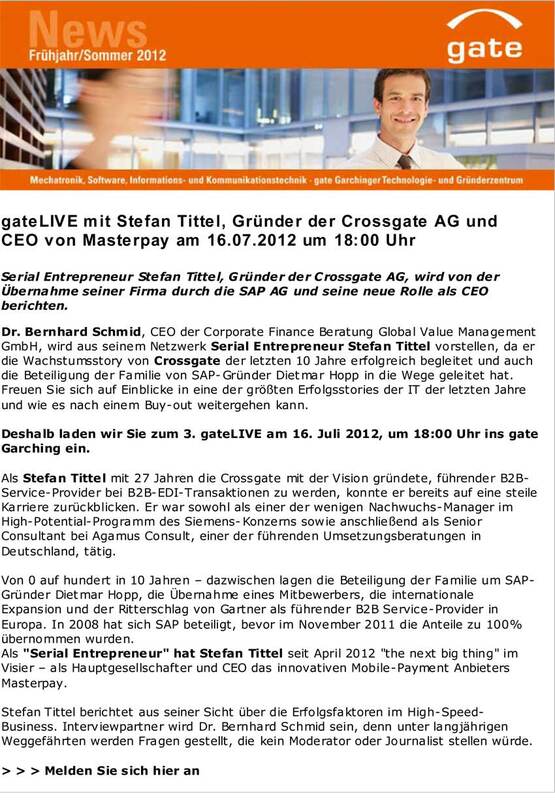 gateLIVE with Stefan Tittel, founder of Crossgate AG and CEO of Masterpay at 16.07.2012, 6 p.m.